By now, most people know that sugar is bad for them. It’s high in empty calories and causes inflammation that eventually leads to obesity, diabetes, heart disease, and more. The problem is that sugar likes to hide in some very unlikely sources (like dried fruit and deli meats), which makes it hard to avoid. 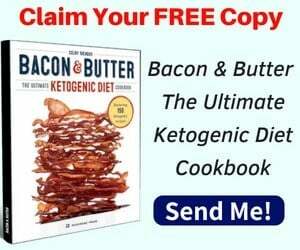 If you follow the ketogenic diet, then you’ve found a great way to eliminate all sugar from your diet. The problem is that some people miss the way sugar flavors their food, so they think that turning to sugar alcohols is a good option because most of them are calorie free. But the truth is that some sugar alcohols are just as inflammatory and dangerous as the real thing, so they aren’t good to eat. Luckily, there are several keto-friendly sugar alcohols available that can help you flavor your favorite foods without inducing inflammation or an insulin response. Here is everything you need to know about sugar alcohols and which are keto-friendly. Sugar alcohols, which are also known as polyols or sugar replacements, have been used in foods for many years. You may have noticed that they are commonly added to “health foods” or energy bars in an attempt to keep their sugar content low. By definition, sugar alcohols are a low-carb sweetener that is derived from natural plant sources (such as fruit and berries) and then put through a chemical process that involves adding an alcohol molecule to them. But don’t worry. Sugar alcohols do not contain ethanol, so you won’t get buzzed when you eat them. Sugar alcohols are chemically similar to real sugar, so they bind to the same sweet receptors on your tongue to give you that sugary flavor. They are made by taking a naturally occurring sugar found in fruits or vegetables and adding a bulk carbohydrate made from starch, glucose or sucrose. This helps give them a sweet taste and prevents them from browning during the heating process, which allows it to retain moisture in foods when you cook with it. Most of the time, sugar alcohols are not fully metabolized or absorbed by the body, so this allows them to have fewer calories than regular sugar (1). The problem is that sometimes your body doesn’t know what to do with these sugar alcohols, so they remain in your digestive tract where they contribute to inflammation and irritation. Some of them even have a laxative effect on the body, or they prevent you from being able to absorb nutrients into the bloodstream. The more commonly used sugar alcohols range in calories from zero to three calories per gram. This is compared to four calories per gram for sugar such as sucrose. Xylitol is one of the most popular sugar alcohols. It’s also one of the most researched. Xylitol has a minty flavor, which is why it’s commonly found in mint products like toothpaste as well as chewing gum. Although it tastes about as sweet as sugar, xylitol sweetener contains about 40 percent fewer calories (2). Erythritol is made by taking the glucose in cornstarch and fermenting it. It contains about 5 percent of the calories of regular sugar, but approximately 60-80 percent of its sweetness (3, 4). When compared to regular sugar, sorbitol has 60 percent calories while being about 50-70 percent as sweet. You can find it in sugar-free jelly, drinks, and soft candies. Maltitol is made from a type of sugar known as maltose, and it looks and tastes very similar to real sugar. It contains about half the calories as regular sugar, but is about 90 percent as sweet. You’ll find this sugar alcohol added to many foods that are labeled as sugar-free. Lactitol is a sugar alcohol that contains about 40 percent of the sweetness of real sugar with fewer calories. Because it tends to have a laxative effect on the body, lactitol is sometimes used in medications that treat constipation. The most obvious health benefit of using sugar alcohols to sweeten your food in place of real sugar is that it contains fewer calories and doesn’t spike blood sugar levels. Some of them even have a minimal impact on blood sugar levels, which makes them approved for diabetics and keto dieters alike. When compared to real sugar, sugar alcohols have a much lower glycemic index, which is a scale that measures how much a specific carbohydrate raises your blood sugar levels. Erythritol and mannitol are examples of sugar alcohols that have a glycemic index of zero, while others tend to have a minimal impact. Additionally, sugar alcohols are slowly or even incompletely absorbed into the blood from the small intestine. Some sugar alcohols are not absorbed into the blood at all. This means that they require little or no insulin so that you can remain in ketosis without worrying about your sugar intake. Finally, because the bacteria in your mouth does not respond to sugar alcohols, some of them can be used to prevent tooth decay. For example, if you chewed sugar-free gum instead of the real stuff, you might save yourself a few cavities (5). Once they pass through the small intestine, sugar alcohols are fermented in the large intestine by your gut bacteria, which can cause problems if you eat too many of them. Research shows that overeating sugar alcohols can create a laxative effect, so it’s a good idea to keep your intake down as much as you can. Additionally, your body doesn’t always know what to do with sugar alcohols once they reach the gut. Since they are neither absorbed into the bloodstream or digestive like other foods, many sugar alcohols tend to remain in your gut where they can cause inflammation and irritation. Symptoms may include bloating, gas, abdominal pain, diarrhea, constipation, as well as the worsening of inflammatory bowel conditions (6). It’s easy to assume that because they are meant to replace regular sugar, you can use sugar alcohols in the same amount as you would regular sugar. But keep in mind that a little bit goes a long way when it comes to sweetening your food. You may have noticed that most sugar alcohol packets are very small. You may only need a half of a packet to get the desired taste you want in your coffee or iced tea. If you’re baking and the recipe you’re using calls for one cup of sugar, you might find that you only need half the amount. This is especially true if you use natural sweetener such as monk fruit or stevia, which is much sweeter than regular sugar itself. In other cases, you may need more sugar alcohol to get the desired taste you want because some only contain a portion of the sweetness of regular sugar. Some sugar alcohols will require you to add twice as much as what the recipe calls for. You can also mix your sugar alcohols to get the desired taste you want. Keep in mind that some sugar alcohols might change the texture or consistency of your foods. You might need to do a bit of experimenting to find out what works for you. What Is The Most Keto-Friendly Sugar Alcohol? Before talking about sugar alcohol on keto, let’s first discuss briefly about the glycemic index (GI) of a food. GI is a value assigned to foods to tell how quickly or slowly that food increases your blood glucose levels (7). Blood glucose is increased slowly and steadily when consuming low GI foods and rapidly when consuming high GI foods. Not all sugar alcohols are approved on the keto diet. In addition to being highly processed and mixed with preservatives and additives, lots of sugar alcohols have a high GI, which means that they might induce an insulin response from you. 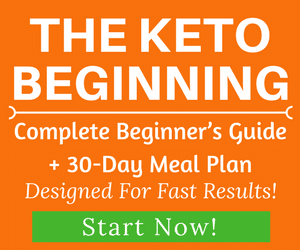 This is no good if you’re a fat-burner as it might kick you out of ketosis. The safe and keto-friendly sugar alcohol to use in moderation is Erythritol. It’s one of the most common keto sugar substitutes. 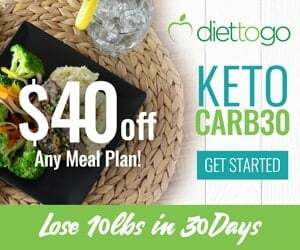 Erythritol is a good option for keto because it has no impact on your blood sugar levels. It has a GI of zero and also contains very few calories. Studies show that erythritol is mostly excreted through the urine and doesn’t even reach the large intestine, but it can cause digestive upset if you eat too much of it (8). What Are Other Keto-friendly Sweetener Choices? Monk fruit is also known as Luo Han Guo, and it’s native to China. If you thought stevia was sweet, then you might be surprised to know that monk fruit can be up to 300 times as sweet as regular sugar. It has been used as a natural treatment for obesity and diabetes, thanks to its zero GI rating. Thanks to its natural anti-inflammatory properties, monk fruit can be used to keep cancer away as well as lower blood sugar (9). It’s hard to find monk fruit in its pure form, but this is the kind you want as it doesn’t include other sweeteners or fillers inside like many processed forms do. If you find monk fruit in its raw form, you might have to pay more money for it but rest assured that you’re getting a better product. Stevia is naturally derived from the stevia plant, which means that it’s technically a natural sweetener and not a sugar alcohol. It contains no calories and is said to be up to 200 times sweeter than real sugar (10). While the sugar from the natural stevia plant is considered to be a healthy alternative to sugar in fresh or even dried form, the problem is that many powdered forms of stevia are highly processed from bleaching and chemical alterations. Stevia is a natural sweetener and not a sugar alcohol, but many people use it as such so we are adding it to our list. It’s very sweet and contains no calories, which makes it a great substitute for sugar. 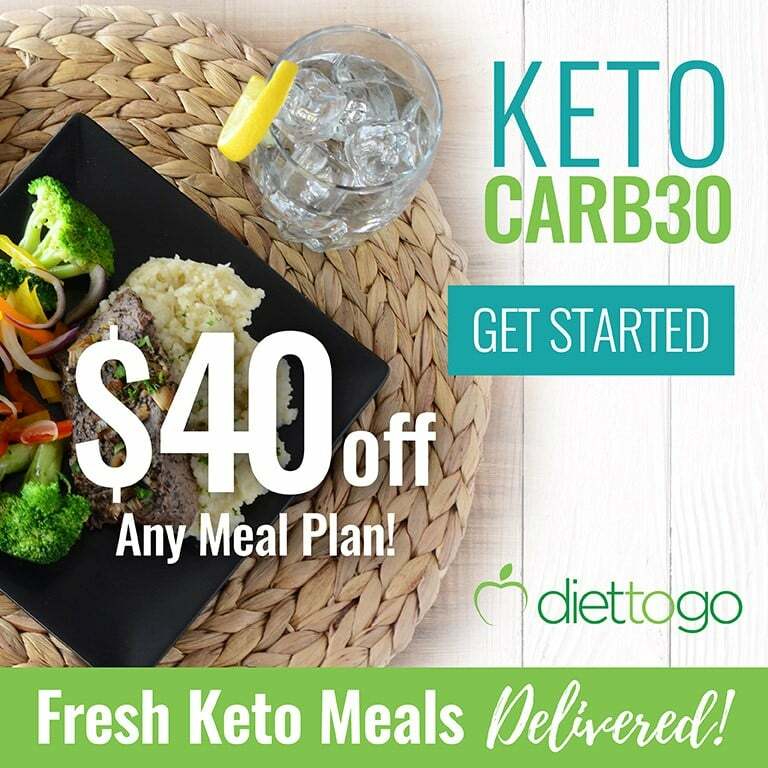 With a GI of zero, stevia is a good option for your keto diet. Additionally, some research shows that stevia has anti-inflammatory and blood pressure lowering benefits that make it good for you (11). Powdered stevia is usually very highly processed and won’t provide any of these health benefits. Liquid-based stevia is safe because it usually contains a raw solution mixed with pure ingredients. The best alternatives to sugar for low carb and ketogenic diets are erythritol, stevia and monk fruit. Allulose is another low-calorie natural sweetener that is made from a simple sugar called a monosaccharide that is commonly found in fruit. It’s also found in simple sugars like maple syrup and wheat. The good thing about allulose is that it passes through the body and is excreted without being metabolized, which means that it has a GI of zero and won’t affect your blood sugar levels. This means that your body can’t use it as fuel and you won’t be kicked out of ketosis. Some research shows that allulose can even help reduce blood sugar levels and insulin after eating a meal. It also has anti-inflammatory properties and can help protect against chronic diseases (12, 13). It may even have antioxidant and blood lipid lowering benefits as well (14). Allulose is new sweetener in the market. It is added to the list of generally recognized as safe foods by the FDA (15). However, keep in mind that there is inconclusive research on the effects of allulose on the gut microbiome, so it’s best to use it in moderation. Individual sensitivities might occur. Because it’s a new type of sweetener with limited human studies, it’s best to use with moderation. Inulin is a natural sweetener and a type of soluble fiber that is extracted from plants such as chicory root, asparagus and artichokes. Inulin mixes well with other sweeteners and can even caramelize like real sugar cane, which is appealing for any cook. Some research shows that inulin has a prebiotic effect on the body, which can aid in digestive health (16). Some studies suggest that inulin might help with weight loss (17, 18, 19). 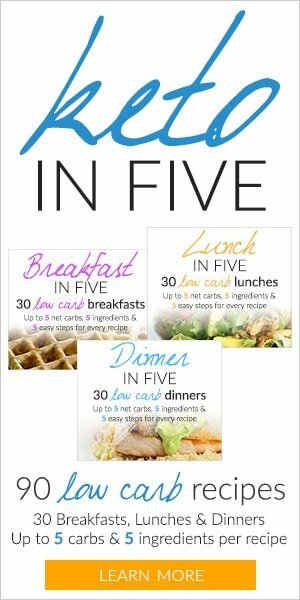 One study found that 44 people with prediabetes who took inulin lost five percent of their body week by week nine (20). Using too much inulin might cause stomach issues. A daily dose of 10 g of native inulin was reported to be well-tolerated in healthy adults (21). 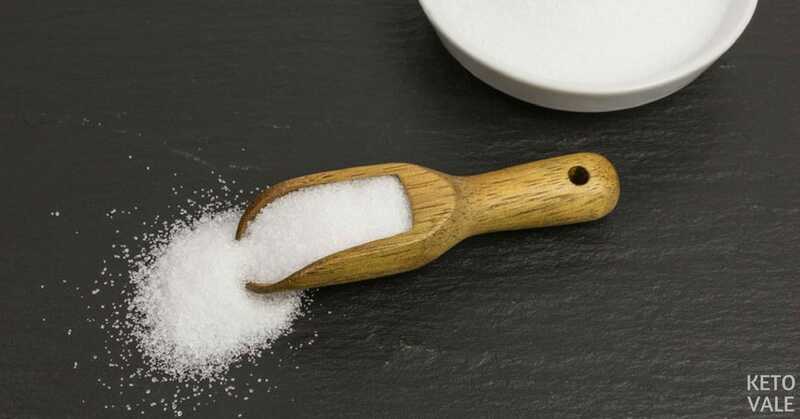 If you’re on the keto diet, you can use sugar substitutes in your homemade recipes to improve the taste and flavor of your recipes. Because of the possible laxative and digestive effects, you will want to save these sweeteners for special occasions and use them in small amounts only. Remember that you may have to adjust the amount you use based on the sweetness of the sugar alcohol you’re using. 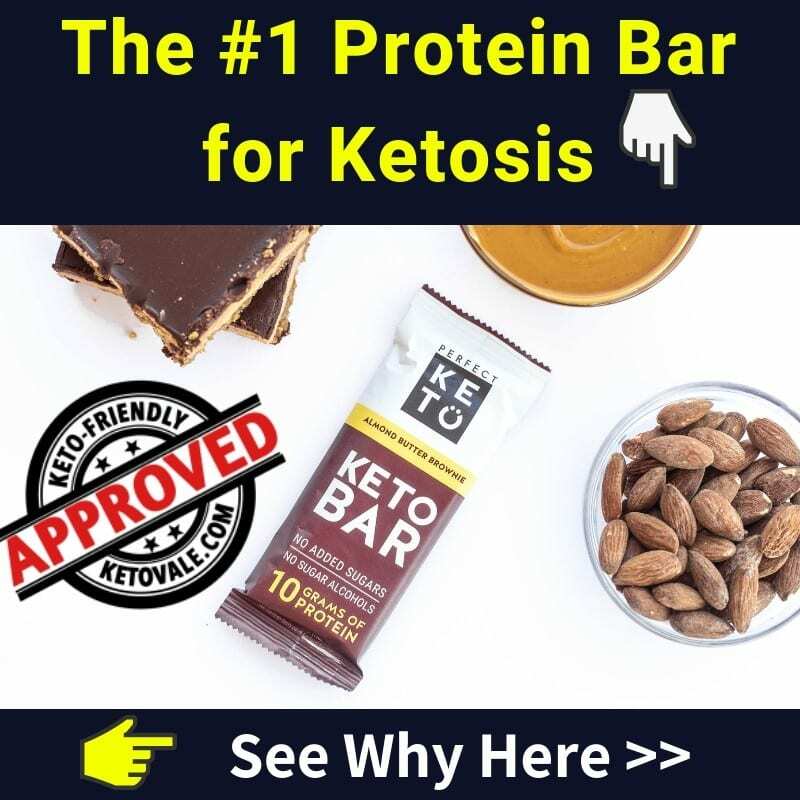 The best sugar substitutes for keto are erythritol, monk fruit and stevia. Stevia, and monk fruit are natural sweeteners and often used interchangeably. Keep in mind that a little bit goes a long way when it comes to flavoring your food, and it’s best to start with a small amount until you know how each sweetener will affect you.